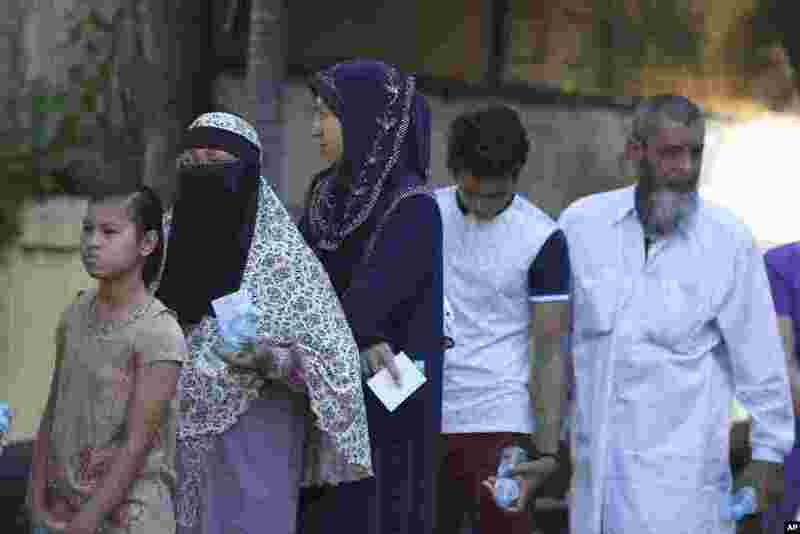 Millions of voters begin streaming to the polls across Myanmar in the first relatively free election in a quarter of a century. As many as 30 million people are expected to cast ballots Sunday to select from more than 6,000 candidates for both houses of the national parliament and regional assemblies. 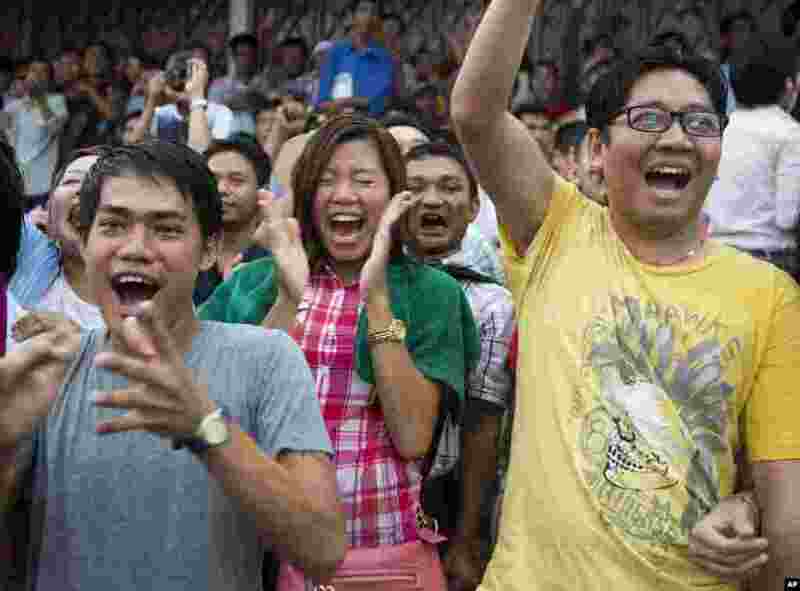 1 Supporters of Myanmar's National League for Democracy party cheer as they watch early voting results outside the NLD headquarters in Yangon, Myanmar, Nov. 8, 2015. 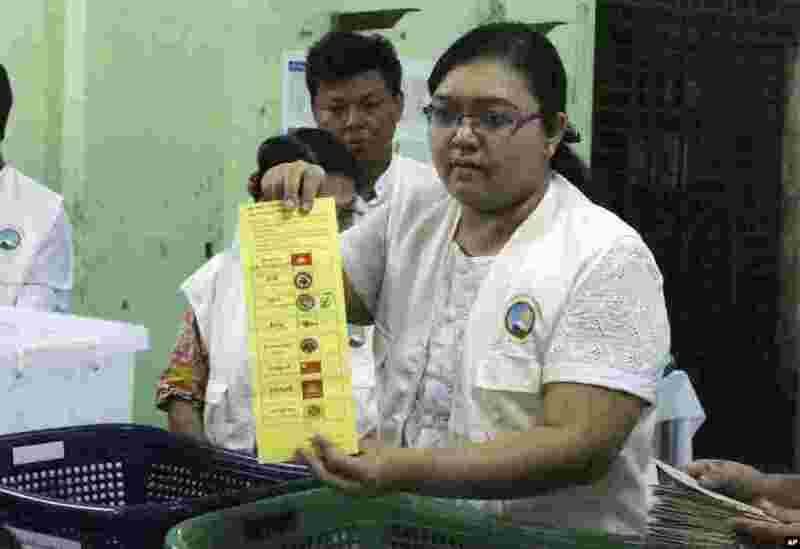 2 Myanmar election commission officer shows a ballot to count votes at a polling station during the country’s general election in Yangon, Nov. 8, 2015. 3 Muslims stand in a line to cast their vote outside of a polling station in Mandalay, Nov. 8, 2015. 4 Myanmar's President Thein Sein casts his vote in Naypyitaw, Nov. 8, 2015.